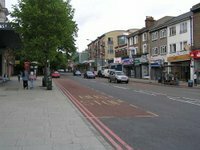 Over the last five months Lewisham Council have been working on a feasibility study for the possible options for the current site of Forest Hill Pools. 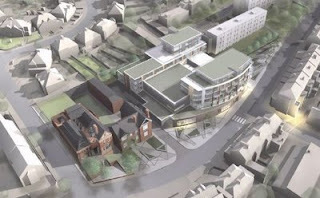 Picture is of just one of the possible options to be presented to Mayor and Cabinet on 25 February. the link seems to be wrong - www2? but if you use www. you get to a page where Lewisham says the document doesn't exist. 1. what does "land receipt" mean and how could it affect the feasibility of different options? 2. the "consultation" pushes clearly for option 3 (relocation of the leisure centre/pools) - essentially because it's the cheapest option. But how reliable is the costing difference (£11m/£12m compared with the lowest risk option - said to be "unaffordable" at £12/£13m). As we well know, planning risks (which option 3 seems subject to) turn into cost over-runs. 3. there seems to be no evaluation of the social/economic effects of the location of the leisure centre/pools (unless its buried in some other measure). Moving the facilities would, I think, miss a major opportunity for helping regenerate Forest Hill centre. Option 3 seems to be what is being pushed for here which makes me suspicious! 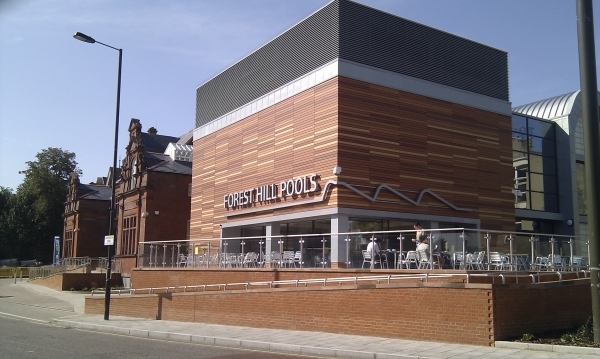 Relocating the pools out of the area would not help Forest Hill and the local area in any way and would take business away from local traders - sorry Sydenham but i am being selfish here and i do not believe that using the land for housing would have the same impact and would also bring further congestion to the area as there does not appear to be any parking associated with the housing. Option 2 allows the frontage to be kept which is excellent, but the additional frontage tacked onto the side does not appear to be in sympathy with the architecture in any way which would have been better in my opinion but i still think this is probably the best option for Forest Hill. Option 1 & 2 are estimated to be the same cost but in evaluation they are scored differently - if this is solely because of the Willow Way option then it would be good to see the costs of these options broken down further in terms of each site on their own to see what that does to the overall costs and scoring used. Option 2 all the way for me.